Two sheets, each: 345 x 260 mm. 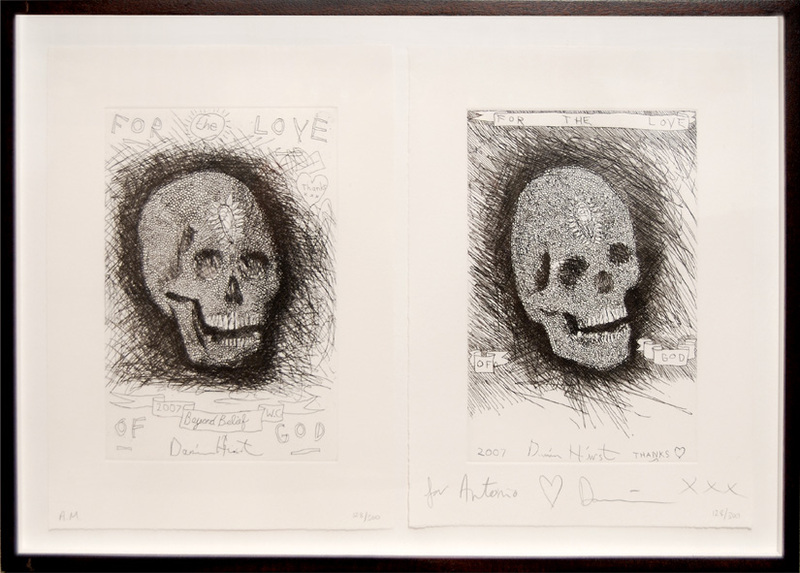 Signed and inscribed in pencil below the second image by Hirst. This print was given by Hirst to friends and employees connected with the exhibition Beyond Belief and For the Love of God, 2007. Presented float mounted in a wooden frame with UV glass by Darbyshire framers for the Artist. Excellent condition.